The very definition of a mobile mechanic is a vehicle specialist who can do what you need, where you need it done. Our mechanics complete full car services at your preferred location with recent jobs completed on Holden, Toyota and Ford. Our professional mechanics are experienced and equipped for all vehicle types serviced on location. Have it all taken care of at the best place for you, not your mechanic. Mercedes, Volvo and Suzuki are all attended to on the spot. automatic transmission, air flow meter and ball joint replacement were with the mechanic when they needed them and quickly replaced or repaired on location. Let us come to you. The easiest and most convenient way to ensure that you keep your service history up to date and on top of your car repairs is to have everything you need done at home, the office or wherever else you happen to be. 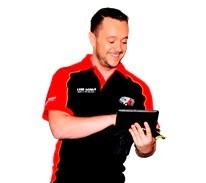 Our mobile mechanics are attending Goodna, Bellbowrie, Bellbird Park and Springfield. We are everywhere and everywhen you need us to be. 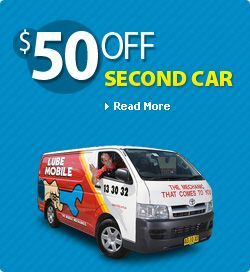 Lubemobile is Australia’s #1 fleet of mechanics servicing and repairing vehicles all over the country with over 760 vehicles attended to in your local area alone over the last 3 months. Regular vehicle services and jobs around your area have included Log book servicing. Our specialists have what they need to complete a full service and repair at your chosen destination including tyre replacement and specialty tyre related repairs, cylinder head replacement and ignition switch repairs. No matter what your vehicle type including Honda or Subaru, on of our 37 vehicle specialists in Ipswich will service your vehicle to industry leading standards. Our recently serviced clients have provided over 19 positive reviews from the Ipswich region.